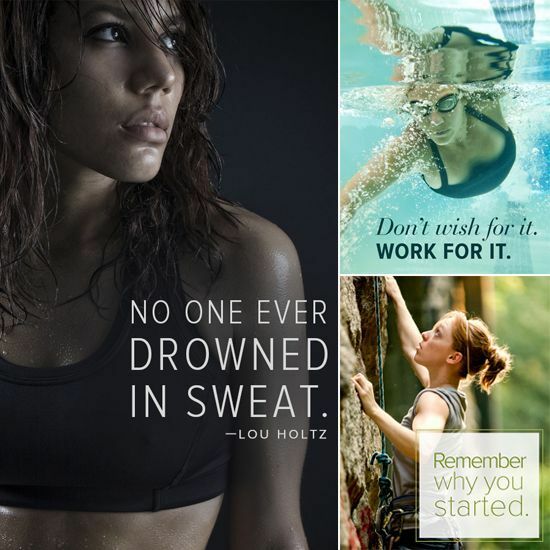 It WILL Hurt….but YOU ARE WORTH IT!!! While I haven’t been ultra-impressed with this summer’s Extreme Makeover Weight Loss show, last night I most definitely was! What an AMAZING job Kim did, not only losing 122 pounds in a year, but letting go of the obstacles that were holding her back from being all that she could be. She was drop-dead gorgeous at the finale, and once again, I am inspired and motivated be the determination and follow-through it takes to achieve a goal! I cried even more so than usual, which I think was, in part, a result of all the focus and meditation we spent on balancing our heart chakra last night in class. Photos are hard to find this morning. This show will come to the end of another season shortly, but ANYONE looking for some inspiration (weight loss/fitness/LIFE!) should check it out. We all hold the key to our own success. Determination is everything! Yes, in many cities and towns the temperature is soaring. This is no excuse to be lazy! You don’t need a GYM….You just need to G.Y.M…..
Work hard for what you desire. Then celebrate your accomplishments. It’s FRIDAY! Happy Weekend to one and all…. The (MY) challenge: To avoid using the words I and Me too often. Not just in blogging, also in life. It get’s so hard to listen to 1st person sometimes, (me, me, I, blah, blah, blah…) and others have so much more to teach and contribute to our lives. In looking for just the right quote to help drive this home, this gem was found and has nothing at all to do with the topic. This quote is for our children. The ones we raised and the ones we got along the way! We hope you all know that while the hands we hold you with may be open so you can always keep growing, they are also always there to support you, lift you, applaud you and hold you. While you may be far away geographically, you are all always in our hearts ALL THE TIME. Much love……. The Choice Belongs to Each of Us…. It is January 13th. How you doing with your fitness resolutions? While some haven’t started their commitment yet, others are already losing their steam. Physical activity is not something everyone enjoys and certainly NO ONE enjoys every time! I am pretty sure that Plato was correct, though, so it’s a choice well worth committing to! Let’s all get busy! I do not know who to credit for this quote because it’s been said by many and definitely repeated by me….It’s so short and sweet but packs huge power. Give it some thought…It’s my mantra. Who Am I (to Judge) ? This really struck a chord with me (and I believe most of us, if we stopped to pay attention to ourselves, would agree we spend a lot of time in judgement…not just of others, but of ourselves as well) so I am working hard on step 3 of putting the law into action, which says “Today, I shall judge nothing that occurs.” I will remind myself often and be aware of the times that I am about to make a judgement. 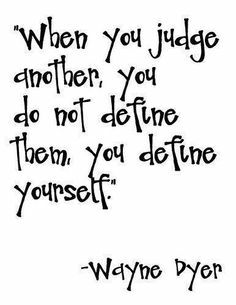 I challenge you to become aware of how often you find yourself making judgements. Awareness, I have come to understand, is the first step towards improvement. Goes for just about EVERY aspect of life…..Let me know what you become aware of as you set this challenge in motion. I have been busy catching up after an incredibly awesome weekend spent with the best people and the best food and I will be back tomorrow with more about that. For now, it’s off to class and then a run before going back to class. I haven’t run in over a week and I can honestly say I am really looking forward to it! Have a great day and remember, a healthy happy mind will help keep a healthy and thus happy body, too!! !